In my previous post I created a Giant Papercraft Steve Template. 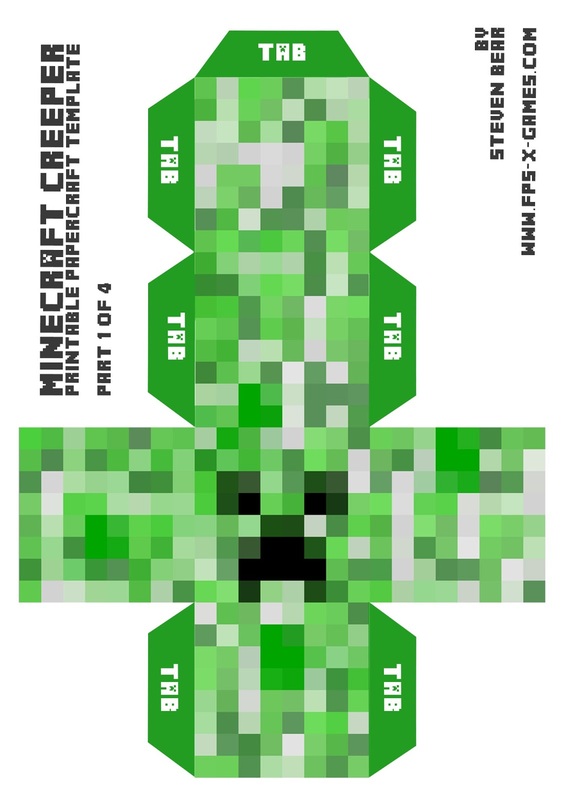 In that post I was ask if I could do a scale version of a Creeper to go with. Here it is, and keep the requests coming. 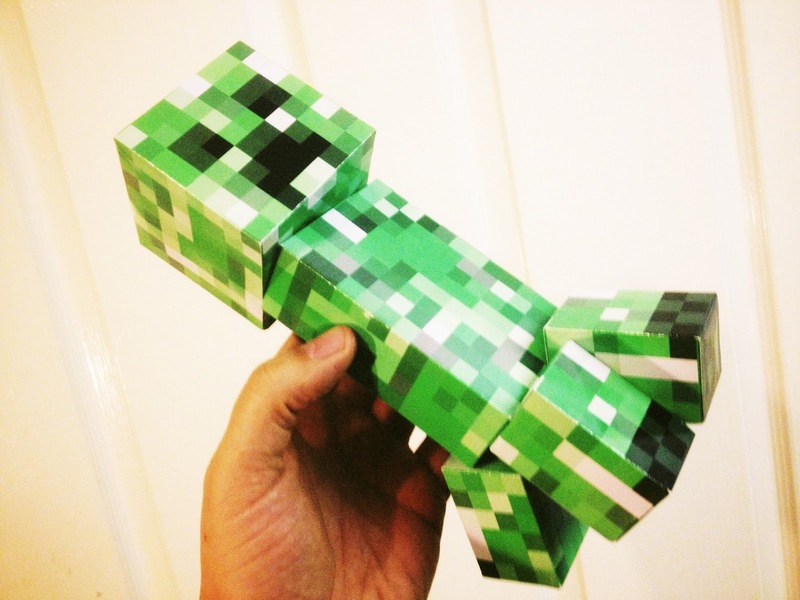 The Creeper is 9 inches tall and banging awesome. 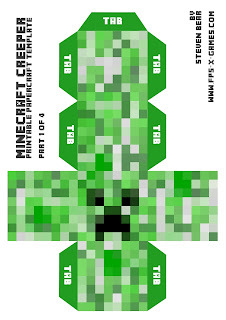 Right click and save the template images as, print out the Minecraft Creeper paper model template. Its a good idea to use card when printing. I used A4 glossy photo paper but any normal card will do. Carefully cut around the Creepers body parts. 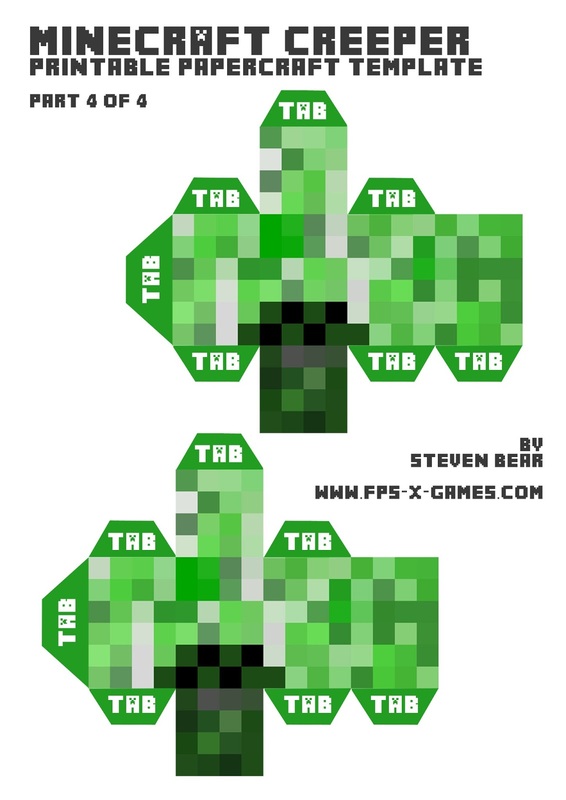 DO NOT cut off the tabs on the sides of the Minecraft Creeper templates, they are important! 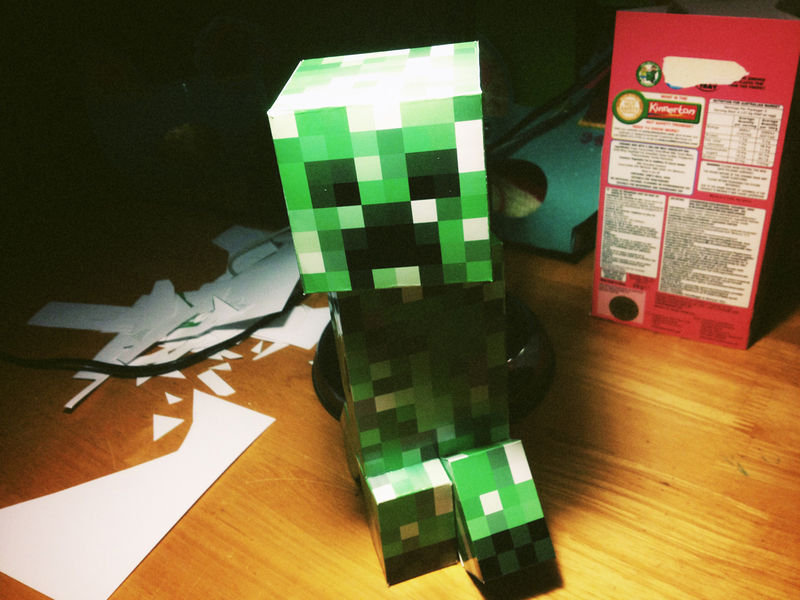 Fold all corners of your papercraft Creeper. Tabs should always be folded inwards. Glue or tape your Minecraft Creeper cut-out tabs together. Minecraft Creeper Papercraft by Steven Bear is licensed under a Creative Commons Attribution-NonCommercial-ShareAlike 3.0 Unported License. Do you leave a tab free so you can glue it to the body ? Nope you make all six individual parts then glue to the body. You can see I glued the head at an angle and I arranged the creeper legs to look like it's walking. Yep will do eventually. large Ender dragon is my ultimate goal. Have you done the Ender Dragon yet? Hi, can I make these in the US at the printer? I think they only do 8.4X11 sheets of paper. A4 is 297 mm long and 210 mm wide sheet (210 x 297). Equivalent size in inches is 11.69" long and 8.27" wide. Pleasure as always. Have fun and enjoy! Pretty cool request. Just so I'm clear, is that the pumpkin head? I glued them. To make it look like he's walking just put the front left and rear right at an angle. 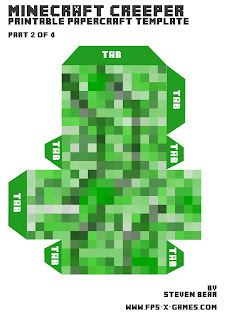 Try folding the TABs first, may help visualize. Do a squid, I really like it, and please make a large squid. It's between 160 200 g/m2, thanks.